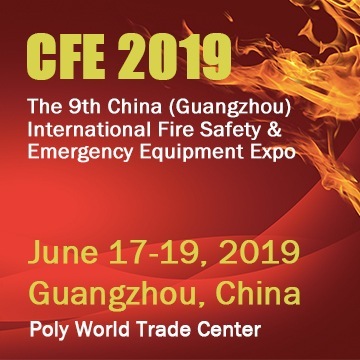 SECUMAR presents new lifejackets and survival suits at SMM and WindEnergy, the world leading shows for the maritime sector and wind industries. SECUMAR will be exhibiting its innovative personal protective equipment for maritime workwear at both SMM from 6th – 9th September and WindEnergy from 27th – 30th September, both at the Hamburg Messe. Amongst SECUMAR’s Professional Product Range on display will be the recently further developed GOLF 275 Neon. The new outer protective cover of this well-known 275N universal industrial lifejacket is thanks to a new special coating extremely tough and rip-resistant, making it the ideal lifejacket for difficult and hard working conditions. It is also washable and therefore easy to clean, with a soft nylon neck area for added wearer comfort and a fluorescent yellow colour and reflective strips for extra safety in times of poor visibility (eg: fog, rain, etc) or in busy harbour environments. 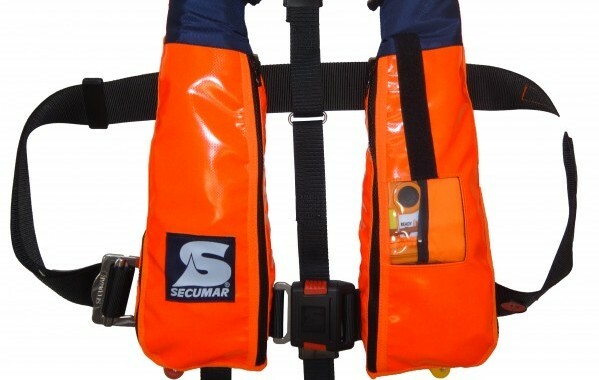 With its GOLF 275 TWIN SOLAS SPR PLB lifejacket, SECUMAR has developed a product specifically for the offshore wind industry. 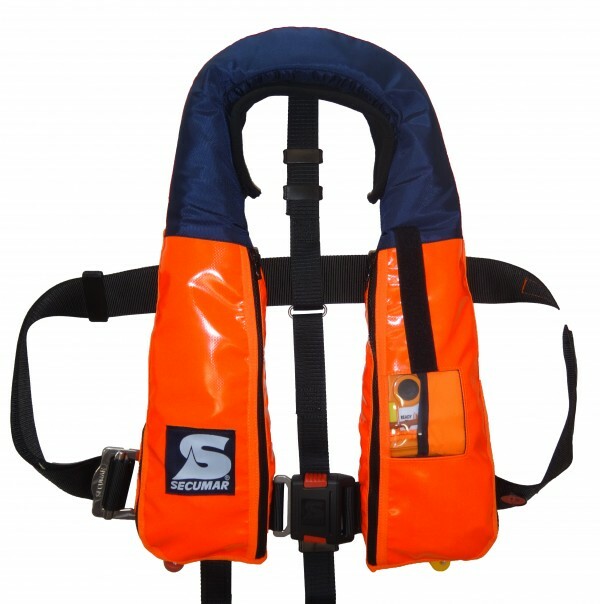 This SOLAS and CE certified lifejacket provides outstanding PPE, combining a specially coated tough and rip-resistant outer cover with a spray hood, emergency light, crotch strap and the option of installing a PLB as standard. 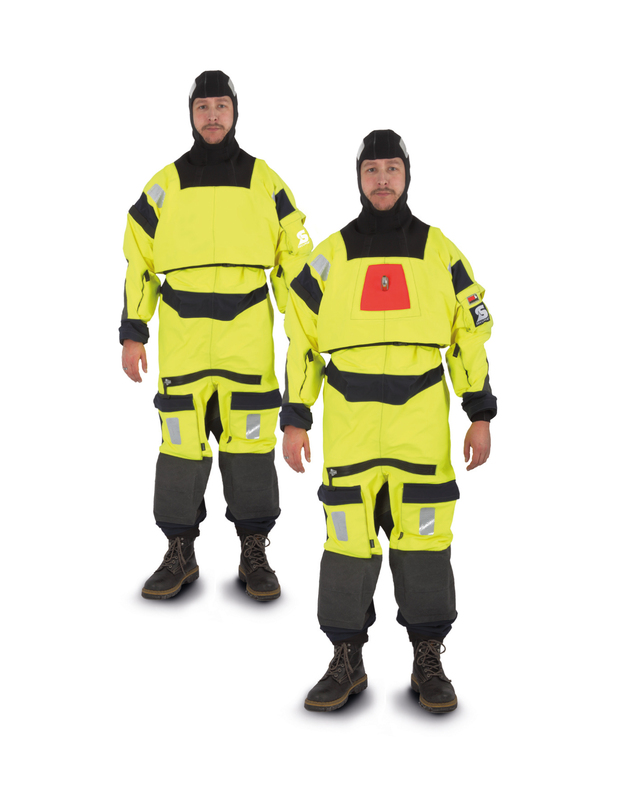 CONTRA 110 and CONTRA 140 – are the names of the new DIN EN ISO 15027-1 approved drysuits from the Bernhardt Apparatebau company. Their biggest advantage is the outstanding comfort and functionality for the wearer, being made from a ‘breathable’ GORE-TEX® membrane which keeps the water out whilst allowing any internal water vapour to diffuse away. The two models divide into different functions. The CONTRA 110 is worn as an under layer, being extremely lightweight and is therefore protected from mechanical damage and dirt by the usual trusted outer clothing. The CONTRA 140 models are available as SOLAS certified workwear and survival suits and in the case of the CONTRA 140 AS can be fitted with an EN 361/EN 858 internal fall arrest harness for working at heights. You can find all these innovations at SECUMAR on Stand 301 in Hall B8 at SMM from 6th – 9th September and on Stand 220 in Hall A4 at WindEnergy from 27th – 30th September.